It is 4 metres below sea level. At university Jaap studied Pedagogy and majored in the Philosophy of Science. He has been teacher, trainer and a book publisher. Jaap finds abundance of information is not a bad thing. He sees it as a blessing and chooses and selects the resources he needs for his job. Jaap believes that building a network or PLE means that you must be trustworthy and send messages of value. Also he likes to ask questions. He sees it as being human and recognises the importance of answering questions, responding and adding personal messages. He finds that most of his friends and people he connects to are using Twitter and Facebook so as an editor he uses these tools to communicate. In the Change Mooc he found that some presenters did excite him but he was really happy with his fellow students. 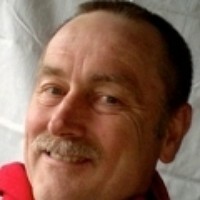 Jaap’s post on this topic can be found at [http://connectiv.wordpress.com/2012/02/02/change11-teacher-roles-and-mooc/. If you follow Jaap’s blog you will see that he always uses pictures. His pictures are always intriguing and leave readers pondering their meaning and connection to the writing. He believes that pictures are important. Words can tell a story, but pictures [http://jjbs.wordpress.com/] will tell so much more. Jaap’s minor at university was was “Images and words” a combination course of literature, arts and history of arts. I would like to thank Jaap for agreeing to provide a profile for our Blog Calendar.